HEDVIG MOLLESTAD TRIO-BLACK STABAT MATER. Just over two years ago, the Hedvig Mollestad Trio released their critically acclaimed and career defining third album Enfant Terrible. It was hailed as the finest album of the band’s five year career. That however, is until now. Currently, the Hedvig Mollestad Trio are currently preparing to release their much anticipated fourth album Black Stabat Mater. It will be released by Rune Grammofon on the 1st of July 2016. This much anticipated album also marks the welcome return of Norwegian guitar virtuoso Hedvig Mollestad Thomassen. She founded the Hedvig Mollestad Trio back in 2009. However. story began in 1982. That was when Hedvig Mollestad Thomassen was born in Ålesund, in Norway. Hedvig first picked up her mother’s much loved nylon strung acoustic guitar when she was just ten. This was the start of a lifelong love affair with the guitar. Now just over twenty years later, and Hedvig is now one of Europe’s finest guitarists. Her style is best described as a fusion of rock and jazz. That was the music Hedvig discovered in her father’s record collection. This music would go in to inspire Hedvig musically. Especially, a trio of guitarists from the golden age of rock. Jimi Hendrix, Jimmy Page of Led Zeppelin and Tony Iommi of Black Sabbath would all inspire the blistering, scorching licks Hedvig would go on to unleash. However, there’s more to Hedvig than. Other times, Hedvig’s playing can be restrained, cerebral, disciplined and innovative. This has also lead to comparisons with the Mahavishnu Orchestra’s John McLaughlin, Carlos Santana and Pete Cosey, whose Hendrix-esque guitar playing graced Miles Davis’ band between 1973 and 1975. Hedvig Mollestad you’ll realise is no ordinary guitarist. Far from it. Hedvig was already a talented, versatile and inventive guitarist when she enrolled at the Norwegian Academy of Music, in Oslo. By the time, Hedvig graduated from the Norwegian Academy of Music, another part of her musical education was complete. By then, Hedvig was already playing in various bands, including Bronco Busters, Songs and Sweet Potatoes. However, in 2009, Hedvig decided to form her own band. Soon, the Hedvig Mollestad Trio bean to take shape later in 2009. Joining Hedvig, were bassist Ellen Brekken and drummer Ivar Loe Bjørnstad onboard. Before long, critical acclaim came the Hedvig Mollestad Trio’s way. This came after the Hedvig Mollestad Trio played at the prestigious Molde International Jazz Festival. They won the award for the best “young jazz talent” of 2009. This lead to a tour of Norway in 2010. After this, the Hedvig Mollestad Trio recorded what became their debut album Shoot. With their debut album complete, the Hedvig Mollestad Trio went looking for a record company willing to release Shoot. Their search was soon over when executives at Rune Grammofon heard Shoot. They signed the Hedvig Mollestad Trio. Since then, Rune Grammofon has been a musical home from home for the Hedvig Mollestad. The Hedvig Mollestad Trio’s debut album Shoot as released on Rune Grammofon in 2011. Critical acclaim accompanied the release of Shoot. Critics were won over by the Hedvig Mollestad Trio’s unique fusion of rock and jazz. This was the start of the rise and rise of he Hedvig Mollestad Trio. Following the release of Shoot, the Hedvig Mollestad Trio continued to tour extensively. They honed their sound by playing literally hundreds of concerts. Whether it was small jazz clubs or huge festivals including Øyafestival, Utkantfestival and Pstereo Festival they were familiar faces. Their sound was soon winning friends and influencing people.This was all good preparation for the recording of the Hedvig Mollestad Trio’s sophomore album, All Of Them Witches. It wasn’t until 2013 when the Hedvig Mollestad Trio relaxed their sophomore album All Of Them Witches. Just like Shoot, widespread critical acclaim accompanied the release of All Of Them Witches. However, this time around, the Hedvig Mollestad Trio were nominated for, and won the Norwegian equivalent of a Grammy Award, in the rock category. The Hedvig Mollestad Trio were on their way. Having won one of the most prestigious awards in their homeland, word was spreading about the Hedvig Mollestad Trio. This resulted in a second tour of Europe. Sweden, Denmark, Germany, Poland, Switzerland, France and Italy were introduced to the Hedvig Mollestad Trio. Then there were trips to Japan and Malaysia. During this period, critical acclaim was a constant companion for the Hedvig Mollestad Trio, who’d come a long way since they’d formed in 2009. So had Hedvig. She’d come a long way since she received her first electric guitar as a confirmation present. Now she’s one of Europe’s top guitarists. In Decmeber 2013, she and the other two members of the Hedvig Mollestad Trio headed into the studio record their third album Enfant Terrible. Recording of Enfant Terrible took place at Ocean Sound Recording. Enfant Terrible was recorded onto an eight track tape-machine. This was the old school way. It was also how the artists who influenced Hedvig had recorded their classic albums. Hedvig must have thought, if it was good enough for Black Sabbath, Led Zeppelin, Santana and Jimi Hendrix, it was good enough for the Hedvig Mollestad Trio. This proved to be the case. When Enfant Terrible was released in May 2014, it was hailed as a career defining album from the Hedvig Mollestad Trio. They seamlessly shift between musical genres. Blues, jazz, psychedelia and rock were thrown into the mix by the Hedvig Mollestad Trio. The result was a critically acclaimed album of genre-melting music from the hard rocking Hedvig Mollestad Trio. Surpassing Enfant Terrible wasn’t going to be easy. Since then, the Hedvig Mollestad Trio have continued to tour the world. 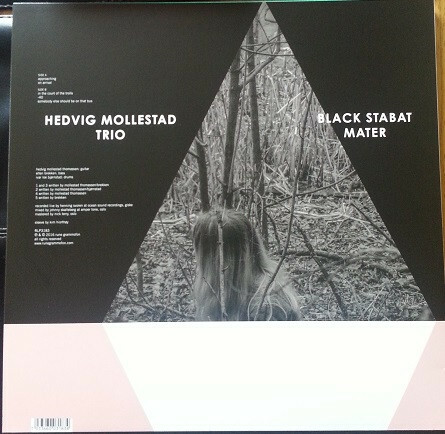 The Hedvig Mollestad Trio’s have also written and recorded their fourth album Black Stabat Mater. For what eventually became Black Stabat Mater, the three members of the Hedvig Mollestad Trio penned five tracks. Two of these tracks,Approaching and In The Court Of The Trolls were written by the Hedvig Mollestad Trio. Hedvig wrote -40 and cowrote On Arrival with drummer Ivar Loe Bjørnstad. Bassist Ellen Brekken contributed Somebody Else Should Be On That Bus. These tracks were recorded in what were familiar surroundings. Just like Enfant Terrible, recording of Black Stabat Mater was recorded live at Ocean Sound Recording. That was where guitarist Hedvig was joined by the rhythm section of drummer Ivar Loe Bjørnstad and bassist Ellen Brekken. Recording Black Stabat Mater was Henning Sworen. Then once the album was recorded, it was mixed by Johnny Skalleberg at Amper Tone Oslo, and mastered by Nick Terry. Only then, was Black Stabat Mater ready to release. impressive sound. So is the sound of Ivar Loe Bjørnstad’s thunderous drums. He combines raw power, speed and accuracy. Not to be outdone, bassist Ellen Brekken matches Ivar every step of the way. By then, Hedvig is unleashes a series of searing, bristling and scorching licks, riffs and solos. They play their part in a hard rocking opus where the Hedvig Mollestad Trio fuse rock with elements of psychedelia and space rock. Dramatic: describes the bursts of thunderous music that open On Arrival. As they dissipate, the arrangement buzzes, crackles and threatens to feedback. This adds to the moody, dark and dramatic backdrop. Surely it’s only a matter of time before the Hedvig Mollestad Trio kick loose? Still, though, buzzes and crackles are joined by the occasional howl of feedback. Drums pound and reverberate, before they eventually begin to power the arrangement along. Meanwhile, Hedvig adds effects to her guitar. Suddenly, the blistering, crystalline sound is transformed. It joins a bubbling bass and the relentless, driving drums. At last, The Hedvig Mollestad Trio are in full flight. Soon, they’re at their most inventive and innovative, fusing elements of avant-garde, improv and psychedelia with rock. The result is captivating and genre-melting soundscape that’s akin to a magical musical mystery tour. From the opening bars of the über hard rocking In The Court Of The Trolls, the Hedvig Mollestad Trio are showcasing their considerable talents. Straight away, the rhythm section lock into a tight groove, as the scorching guitar cuts through the arrangement like a musical flamethrower. Soon, its crystalline sound, reverberates, rings and shimmers, as Hedvig deploys her effects. Again, it’s a case of less is more. Meanwhile drums pound and the bass buzzes. Later, Hedvig’s guitar continues to plays a starring role, as she unleashes a peerless performance. It’s her finest so far. This inspires the rhythm section who play with power and panache, before this eight minute epic reaches a glorious crescendo. There’s a crackly sound to the introduction to -40. It disappears when Hedvig gently plays her guitar. It chimes and chirps, as the bass is played thoughtfully. This shows another side of the Hedvig Mollestad Trio. Despite this, there’s always the possibility that they’ll kick loose. Especially as a vortex of feedback makes its presence felt. Meanwhile, a cymbal rises, as the Hedvig Mollestad Trio replicate the sound of -40, and do so successfully. Suddenly, it’s as if the temperature has dropped on this captivating Nordic soundscape. Somebody Else Should Be On That Bus closes Black Stabat Mater. This time around, bassist Ellen Brekken gets the chance to shine. For nearly a minute, it’s just the bass that plays. Then the drums are joined by a burst of feedback, before Hedvig unleashes another explosive, scorching riff. It cuts through the arrangement, while the bubbling bass keeps it company. As Hedvig wields her guitar, she combines raw power, speed and accuracy and occasionally, adds the occasional effect. Behind her, drums power and propel the hard rocking arrangement along. By then, the Hedvig Mollestad Trio are in full flight and are determined to close Black Stabat Mater on a high. This they do, on a track that brings back memories of the golden age of rock. That is no surprise. Sometimes, the Hedvig Mollestad Trio sound as if they should’ve been around at the same time as Led Zeppelin, Black Sabbath and Jimi Hendrix. Sonically and stylistically, the Hedvig Mollestad Trio’s music is a reminder of the golden age of rock. Indeed, it is possible to imagine the Hedvig Mollestad Trio playing at the Whiskey A-Go-Go in Los Angeles or Fillmore East in New York. However, the similarities between some of the legends of music and the Hedvig Mollestad Trio is no coincidence. Hedvig Mollestad Thomassen who founded the Hedvig Mollestad Trio in 2009, grew up listening to Led Zeppelin, Black Sabbath and Jimi Hendrix. Their influence can be heard throughout Black Stabat Mater. So can the influence of early Hawkwind, Cream, Santana and West, Bruce and Laing. Closer to home, one can’t help but wonder whether Moster! 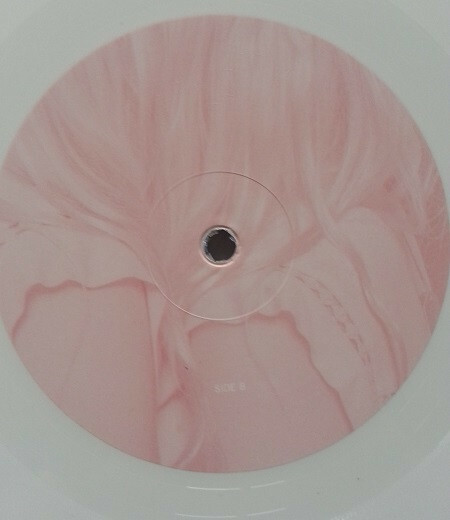 and Motorpsycho have influenced the Hedvig Mollestad Trio? These bands have a similar genre-melting sound to the Hedvig Mollestad Trio. To create this genre-melting sound, the Hedvig Mollestad Trio fuse elements of rock, psychedelia and space rock with avant-garde, improv and jazz. Sometimes, the Hedvig Mollestad Trio seamlessly switch between musical genres mid track. Other times, these disparate genres melt into one on Black Stabat Mater. Occasionally, the Hedvig Mollestad Trio spring a series of surprises, and take the listener on a magical mystery tour. Mostly, though, Black Stabat Mater is an album of über hard rocking music. Don’t get this critic wrong. Black Stabat Mater isn’t just any album of hard rocking music. No way. 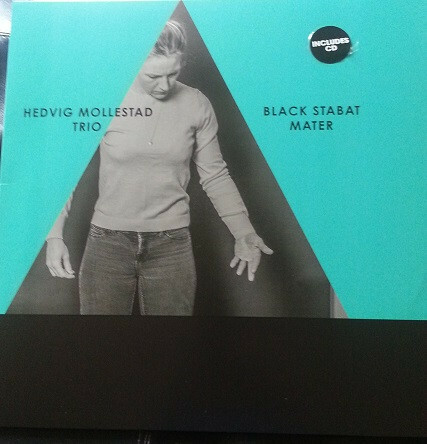 Instead, Black Stabat Mater is an album that surpasses each of the Hedvig Mollestad Trio three previous albums. This includes Enfant Terrible, which was heralded as the finest album of the Hedvig Mollestad Trio’s career. That was until now, and the release of Black Stabat Mater by Rune Grammofon on the 1st of July 2016. Black Stabat Mater features the hard rocking Hedvig Mollestad Trio return with a genre-melting opus, that brings back memories of the golden age of rock. ← GARY BURTON-SOMETHING’S COMING!, THE GROOVY SOUND OF MUSIC AND THE TIME MACHINE.